Ever wished for a western movie running for a day, here it is.. Whenever i watch any western movie, i wish for long running time even thought it is only a wagon running or horse riding or coach journey. and i like the old days Western movie production, new one are not up to the mark. 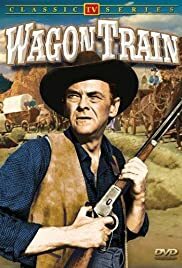 I didn't know about Wagon Train TV serial before, i accidentally watched Wagon Master, i impressed with the story and wagon master characters, so started searching something related, guess what i got "Wagon Train", i am watching it like a treasure map. Each episode is beauty, as of now i am in season 1 episode 7. Brilliant. I can say this is one of the best TV serials i watched so far. And also surprisingly in parallel i am also watching, Andromeda, Game of Thrones and Rome all are related to different periods.. cool.. i love this life. :) Thanks Youtube for Wagon Train complete episodes.